← IT’S BEEN 10 YEARS SINCE DRAVEN HAS SEEN JAMIE, BUT SPARKS FLY ONE NIGHT IN DAYTONA BEACH! 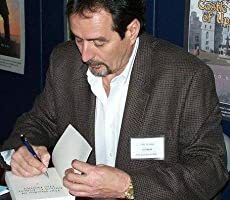 A prolific writer, Gary D. Henry is an award-winning author who has penned twenty-eight novels and touts several works-in-progress. Specializing in the field of horror and mystery, Henry is not shy about blending other genres into the mix. Averaging two to four releases a year, Henry’s first publication came in September 2009 with the release of The Westward Journey of the Nebraskan Wind. Since then, several of his books have gone on to win awards, such as: Opulence Among Us, Honorable Mention at the 2012 Los Angeles Book Festival—DIY award; Legacy of the Unsung, First Place in the 2011 Halloween Book Festival—Time Travel Category; Falling Waters, Honorable Mention in the both the 2012 Paris Book Festival Award—General Fiction Category and the 2012 Beach Book Festival Award in New York; and the Abel Conspiracy, Honorable Mention in both the 2012 San Francisco Book Festival Award—General Fiction Category and the 2012 The Halloween Book Festival Award—General Fiction Category. Recently, Henry has dipped his pen in the genre of short stories after being compelled to write a story about Alzheimer’s Disease, which claimed the life of his father Ray Henry. This entry was posted in GARY D. HENRY, O & P AUTHORS and tagged SCIFI, SUSPENSE, THRILLER. Bookmark the permalink.